Ever heard of Funsho Bamgboye? We shouldn’t be too flattered though, as he’d also be glad to play for two of our domestic rivals and two Spanish giants to boot! 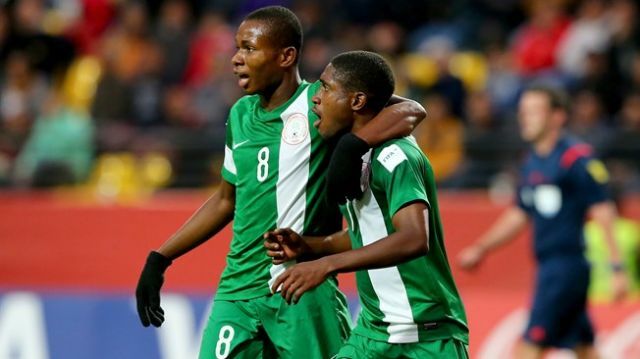 The Nigerian striker plies his trade for Szomathelyi Haladas in Hungary, but he’s better known for his superb performances during the 2015 Under-17 World Cup, in which his country won and he was named in the Team of the Tournament, too. “I am prepared for the start of the new season and hopefully, I will become the highest goal scorer in the Hungarian league. Liverpool currently have a young Nigerian on our books in Taiwo Awoniyi, who has endured two difficult seasons on loan since we secured him in 2015. The 19-year-old forward notched one league goal for Frankfurt the first campaign and just two for NEC in Holland the next. We’d be surprised if Awoniyi ever made the grade at Anfield, and just as surprised if Bamgboye made the step and was one day signed – but we wish him well in his pursuit!